Be-Active is designed for anyone seeking to increase muscle strength, recover post-workout, or even train for competition. From novice to professional athletes, or those who are just active and want to give their body the attention it deserves after the stress of a workout, our this program won’t let injuries, post exercise soreness, chronic pain or tension slow you down. Our exclusive Electrosculpt technology works to increase muscle strength, improve physical endurance, loosens stiff joints and relieves muscle pain post-workout, and is also widely used by top athletes to maintain peak physical condition. Combining muscle stimulation and infrared light therapy, this treatment effectively works the muscles while delivering deep muscle recovery, allowing you to recover faster and train harder. FDA CLEARED. Infrared light combined with steam submersion instantly delivers relief to sore muscles and loosens stiff joints, making it an extremely relaxing and beneficial treatment post work-out. Infrared penetrates the skin and is combined with the heat of the steam bath to increase blood flow and stimulate cellular function.  Relax in Foggiare’s intensive steam session to reduce pain from sore muscles or injuries and help your muscles recover. After a workout, lymph vessels can become overwhelmed by the demand placed on them. Fluids and waste products pool in our skin, muscles and soft tissues which causes swelling and fatigue. Foggiare’s full-body drainage treatments encourage the mobilization of these fluids which can drastically reduce recovery time and swelling and allow the tissue fresh nourishment for regeneration.